Quarterback Drew Tate, who began his CFL career with the Saskatchewan Roughriders in 2007, rejoined the team Saturday. Tate didn’t play any games with the Roughriders in his previous stint before signing with the Calgary Stampeders in June of 2009. 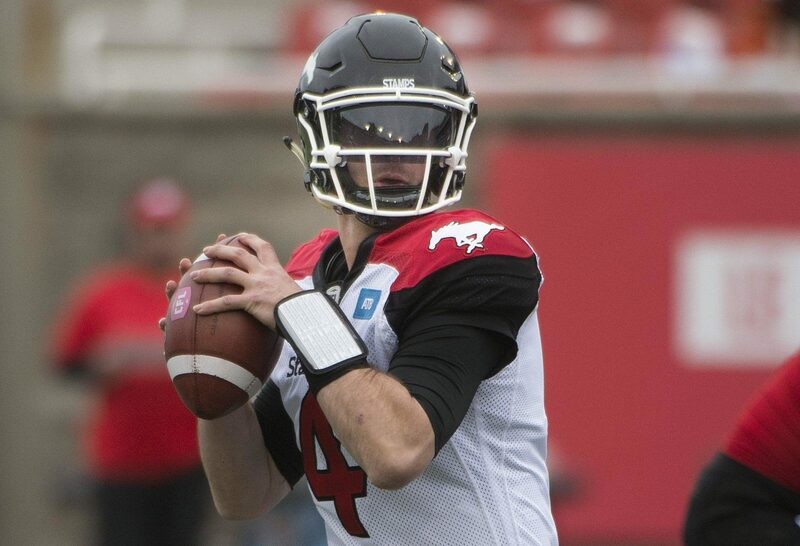 He spent eight seasons with the Stamps and one with the Ottawa Redblacks before stepping away from the CFL in June of 2018. After the 33-year-old product of Baytown, Texas, retired from the Redblacks, he accepted a coaching position at Coastal Carolina University. He returns to the Roughriders as they begin preparations for the playoffs. Saskatchewan is to play host to the Winnipeg Blue Bombers in the Western Semi-Final on Nov. 11. 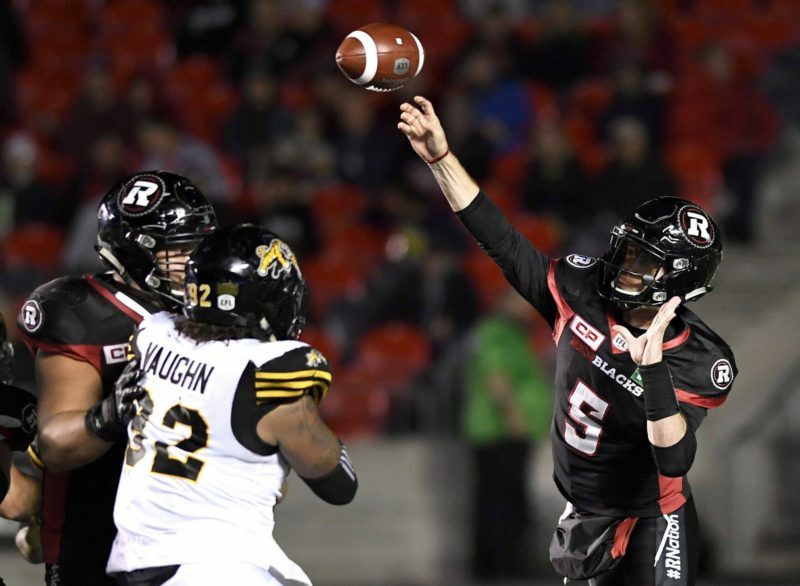 Tate, a 6-foot-0, 190-pound product of the University of Iowa, completed 30 of 43 pass attempts for 338 yards with three touchdowns and one interception for the Redblacks last season. Over his eight seasons with Calgary, Tate completed 380 of 572 pass attempts for 4,670 yards with 32 touchdowns and 15 interceptions. He also has rushed 147 times for 629 yards and 24 touchdowns in his career. He joins a Roughriders quarterbacking stable that includes Zach Collaros, Brandon Bridge and David Watford. Collaros left Saskatchewan’s game against B.C. on Oct. 27 after absorbing a big hit from Lions defensive end Odell Willis. 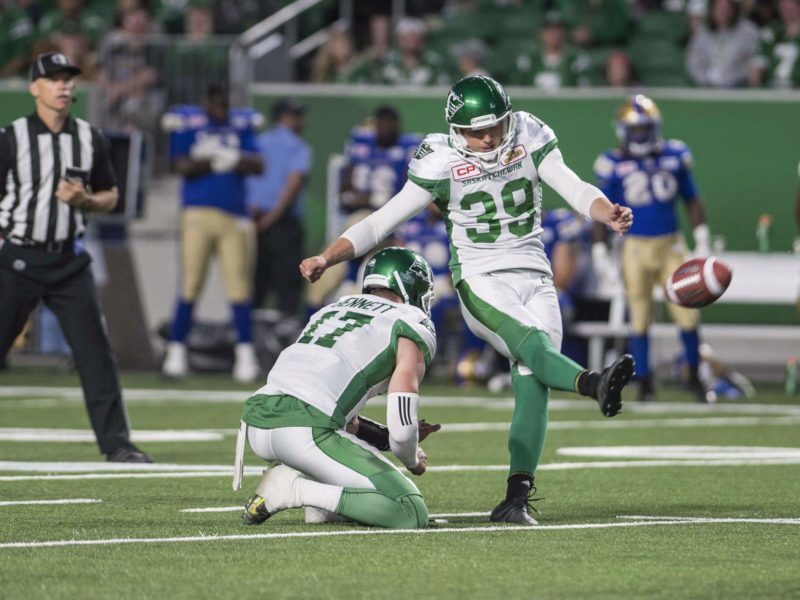 The Roughriders also announced Saturday that they had added kicker Quinn van Gylswyk to the practice roster. Like Tate, van Gylswyk began his CFL career with Saskatchewan before heading elsewhere. The Roughriders selected van Gylswyk in the third round (26th overall) of the 2016 draft out of UBC. The 6-foot-2, 192-pound product of Victoria, B.C., appeared in one game in each of the 2016 and 2017 seasons, making one field goal in three attempts and kicking two converts. He signed with the Montreal Alouettes in February but didn’t get into any games with them this season. Van Gylswyk, 27, will provide backup for punter Josh Bartel and kicker Brett Lauther. On Friday, the Roughriders announced they had added defensive tackle Cory Johnson to the practice roster. The 26-year-old out of Columbia, S.C., played in nine games with the Bombers this season and recorded eight tackles. A 6-foot-2, 283-pounder, Johnson had 20 tackles and five sacks in 16 games for the Bombers last season.